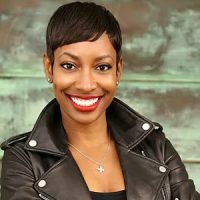 Kellee Edwards is a travel expert and television host by land, air and sea. She is a licensed pilot, advanced open water scuba diver, explorer and journalist. A pioneer in her approach to adventure travel made her brand Kellee Set Go! become recognized by some of the biggest brands in travel, including that of the largest TV network in this realm, The Travel Channel. Kellee is the host of Mysterious Islands, a series that explores some of the most remote islands of the 100,000 in the world, that viewers more likely have never heard of. She is also the co-host of The Trip 2018 on the network. Exploring over 40 countries thus far, including parts of North and West Africa, Asia, South and Central America, Europe and the UAE, her extensive travels have taken her a long way from where she spent her early childhood – on Chicago’s South Side – and where she was raised in San Bernardino, CA. Some of her adventures include Summiting Mt. Hood, trekking the active volcano Mt. Pacayo in Guatemala, sled dogging in remote Alaska, as well as taking on the Great Wall of China. Kellee doesn’t limit being in the air only as a Pilot, she loves repelling into centotes and zip lining through Mayan jungles in the Yucatan Peninsula. As a scuba diver she has seen the waters of Crete, Greece, Koh Phi Phi Island in Thailand, Sosua in the Dominican Republic, the diver mecca of Bonaire, swimming with Whale Sharks in the Georgia Aquarium as well as a shipwreck dive in Eilat, Israel. Additionally, her passion for travel has allowed Kellee to become an on-air contributor for FOX 5 San Diego’s Live for Travel segment for over three years, and served as a writer and editor for Pilot Getaways magazine. An advocate for women in adventure travel, Kellee has been featured in Forbes, ELLE, Conde Naste Traveller, Travel & Leisure, Outside Magazine, Essence Magazine, to name a few and even named an “Inspirational Woman” by South Bay Magazine. Kellee holds a BA in Communications from California State University Fullerton with an emphasis in journalism. Currently, she resides in Los Angeles and can often be found enjoying her favorite pastimes — hiking or flying around in a Cessna 172 in search of her next adventure.